Demonetization has crippled the cash and it is under attack in India, and elsewhere around the world. It is facing a backlash from the propagators of a cashless system and private businesses are playing a major role in this. Behind the hype of technology and change, fin tech companies are trying to make money but there is nothing wrong with that. In The Nature of Technology, W. Brian Arthur – an authority on economics in relation to complexity theory, technology, and financial markets – tells us that the history of technology is not one of the more-or-less independent discoveries, but an evolutionary story of related devices, methods, and capturings of phenomena. Similarly, a cashless system depends on the internet and other technical innovations. The advancement in the field of information technology has facilitated innovation in electronic payment where goods and services are traded without the use of physical cash. In a cashless system, the usage of currency as a medium of exchange for goods and services is eliminated by allowing electronic transfer payments or non-electronic payment via cheques. New ways of paying will continue to be introduced but Indians need to recognize the risks and benefits of different payment instruments. People in India generally prefer cash over digital payment solutions as they find it more secure. Banknotes are convenient and universally accepted, and they offer unparalleled privacy as a payment instrument which is not the case with the cashless system. 41 percent of the population in India is unbanked. The people living in remote areas may belong to communities or segments of society that undertake economic activity informally and do not maintain records or have any documentation. Through demonetization, the government is not urging but forcing these people to use digital payments. 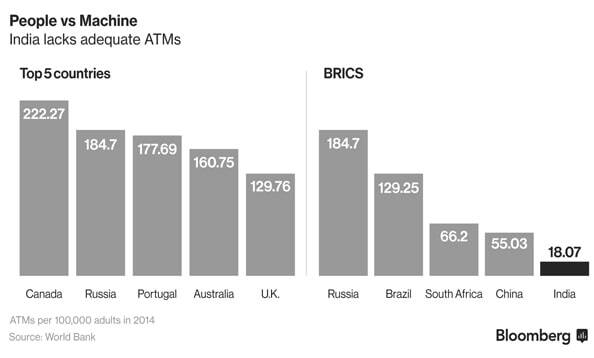 Our ATM infrastructure itself is not ready to handle the banking needs of the billion people. The Reserve Bank of India has acknowledged that cash continues to be a dominant channel of transactions and to cater to this, the ATM infrastructure may be necessary for the short and medium term. Another such report published by NABARD (National Bank for Agriculture and Rural Development), states that it would take at least two decades to cover the entire 1.2 billion population with new branches which means that the importance of ATMs cannot be de-emphasized, even in the medium term. While demonetization is getting a mixed response from the people and analysts, little has been said about the major challenges that a cashless society brings with it. It can make a society vulnerable and increasingly open to sophisticated internet crimes. Under the cashless system, a lot of user data will be generated. We do know that data is one of the most valuable commodity of our time which is available through open data sources provided by the government and private vendors. The only cause of concern is data security and the right of users to their data. New research from leading market analysts, Juniper Research, suggests that the rapid digitization of consumers’ lives and enterprise records will increase the cost of data breaches to $2.1 trillion globally by 2019, increasing to almost four times the estimated cost of breaches in 2015. The data breach at Target, which took place in 2013 during the height of the holiday shopping season, was one of the largest in U.S. corporate history. Apart from the 40 million whose financial data was exposed, as many as 70 million customers had information such as their name, address, phone number and e-mail address hacked in the breach. The company had to pay $10 million to the victims of this attack. This attack serves as a warning to retailers around the world about the consequences of infiltration by POS malware. In a cashless world, every payment made is easily traceable. So it is obvious that it is going to give more power to the banks and fin tech companies who will oversee all transactions. Do we really want the government or any third-party service provider to snoop around our personal information? New technologies have already simplified and smoothed business-to-business and business-to-customer experiences with services like mobile payments, e-wallets, and contactless cards. However, large-scale adoption of the cashless system after demonetization is going to be a problem for our country as it will be a technical challenge for merchants, processors, and users up and down the transaction path to adapt themselves. The success of the cashless system depends on how quickly the society is willing to adopt cashless payment through different stages of innovation processes as the consequences of the adoption of cashless payment differ from society to society. When it comes to the distribution of wealth, we know that we are living in a world which is unequal. 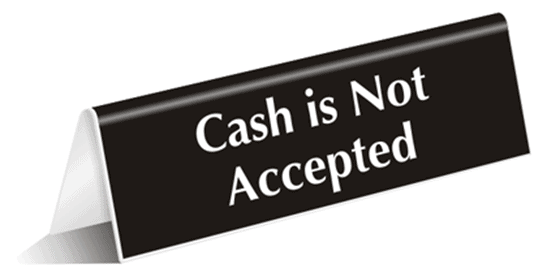 This move towards a cashless society may aggravate inequality even further and it is just another way of legally forcing common people of this country to reach for their wallets and shell out more.